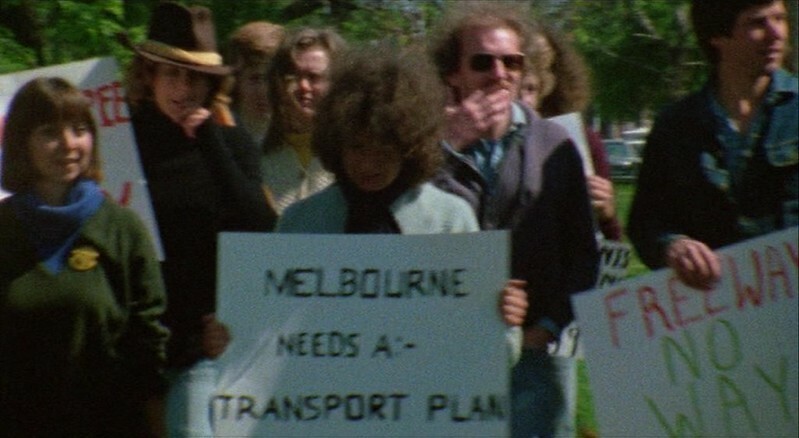 The recent anti-motorway protests in Melbourne are nothing new. 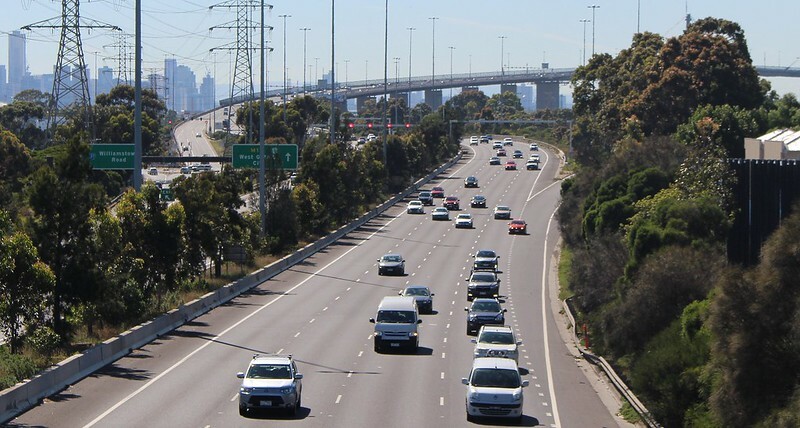 In fact the very same area was subject to protests in the 1970s, when it was proposed to link the Eastern Freeway to the Tullamarine Freeway by way of an aboveground link, by converting Alexandra Parade to a freeway, ploughing through neighbourhoods in Collingwood, Carlton and Fitzroy. Film and television can sometimes provide little glimpses of these events. M told me that on Sunday night, Channel 31 as part of their classic Australian film series, was showing 1978’s Mouth To Mouth“, about four youngsters trying to survive on Melbourne’s streets. 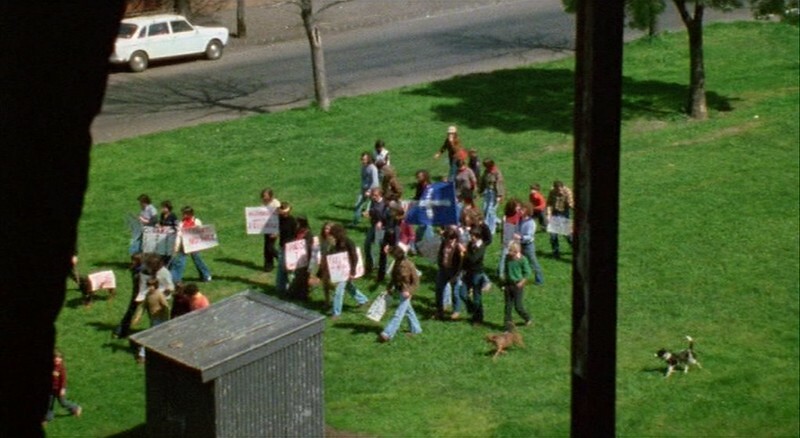 About 43 minutes in, there’s a scene were one of the characters looks out of a window and spots one of the anti-freeway protests. 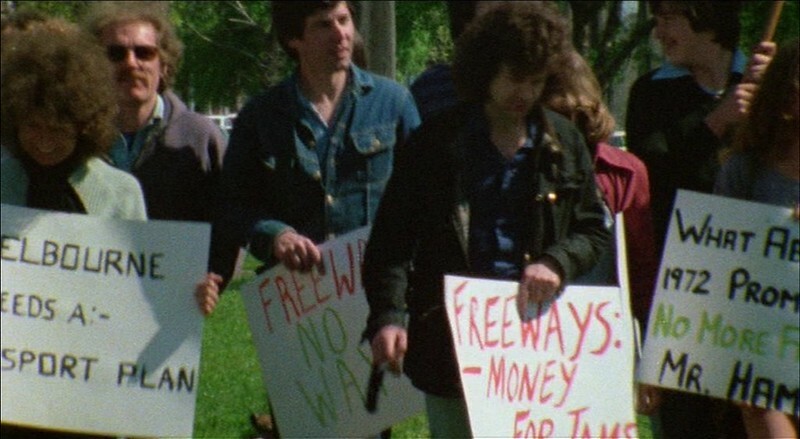 I assume it was staged for the film, as they are marching to an audience of nobody, but the placards look to be directly inspired by real life, one criticising the then-Premier — partly out of shot, but I think it says “What about your 1972 promise – No more freeways, Mr Hamer”. 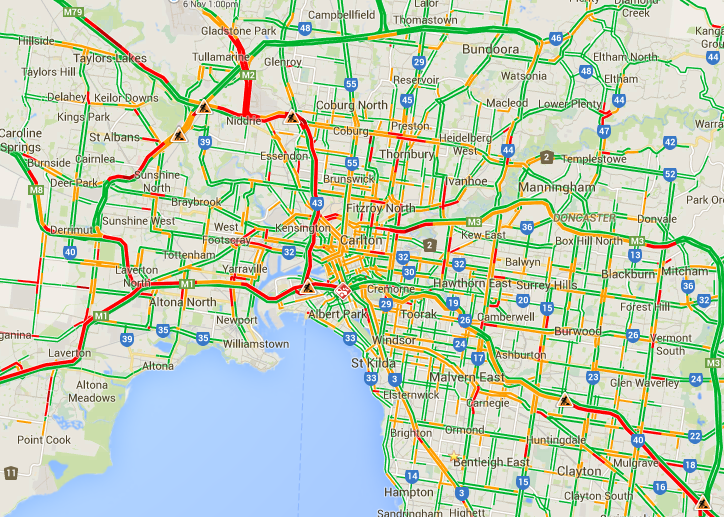 Others such as “Melbourne needs a transport plan!” and “Freeways – Money for jams” wouldn’t be out of place today. I missed the scene on Channel 31’s broadcast, but found the DVD for the bargain price of $5 plus $1.30 shipping on Umbrella Entertainment’s web site. In other scenes you can glimpse bright orange trams, safety zones, rows and rows of telephone boxes, a red rattler train, the old Coles cafeteria, and numerous old cars. There’s also a scene set in a plush hotel — possibly the Southern Cross. 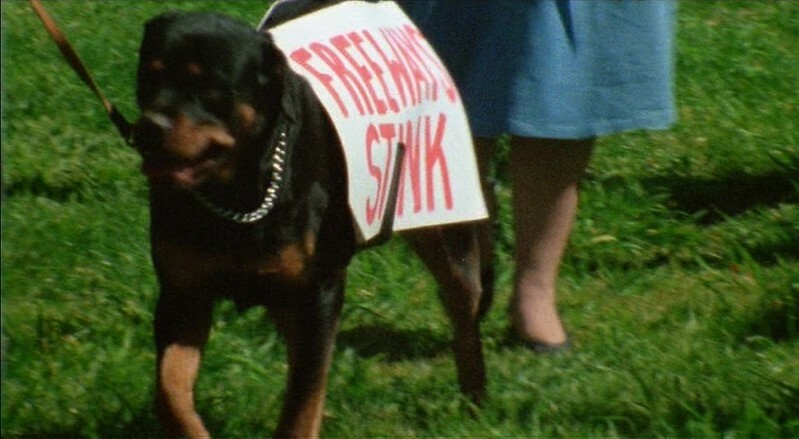 And apart from the scenery, the film itself isn’t bad either. Apparently it got three AFI nominations. Sometimes in the city, it’s a bit like a Where’s Wally book. 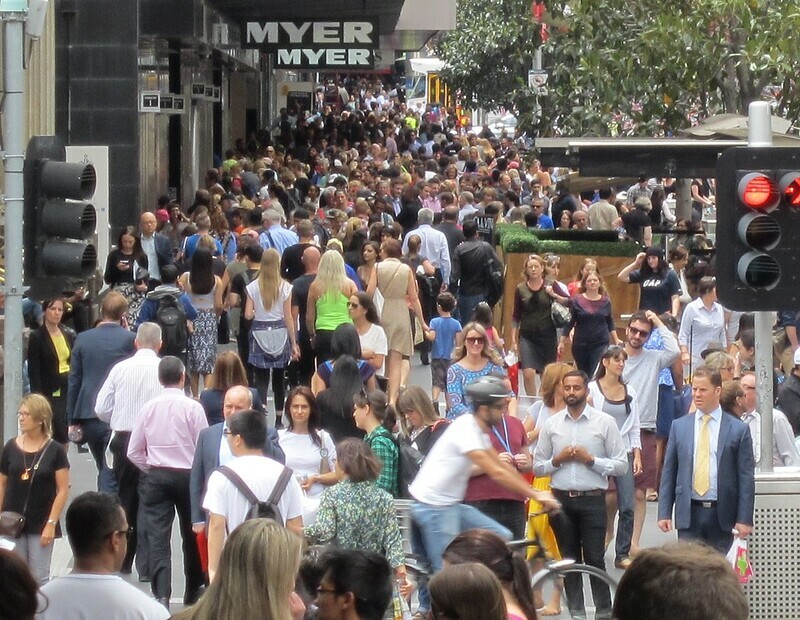 City of Melbourne figures indicate the average daily population for the CBD and surrounding council area is 844,000. But Christmas shopping is a very busy time of year. 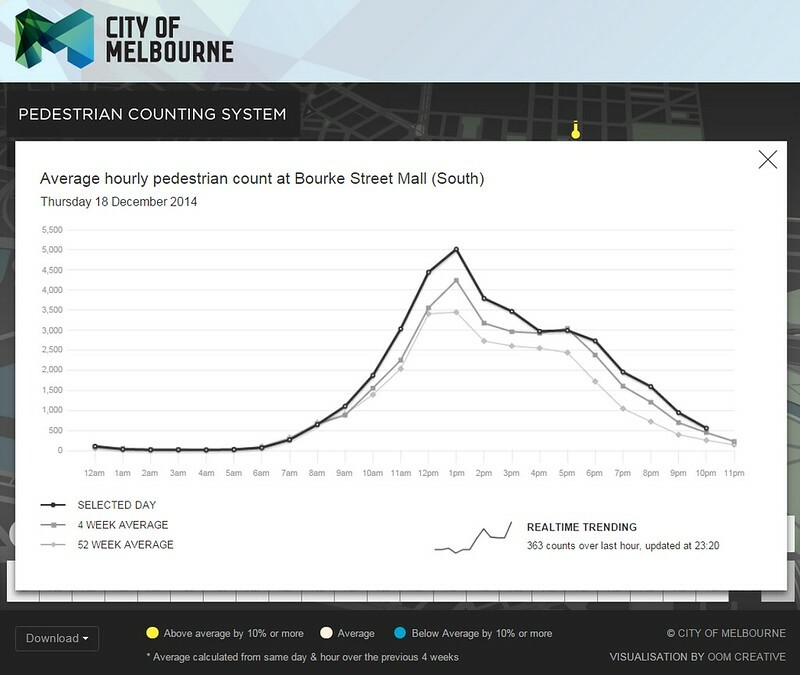 City of Melbourne has some very clever pedestrian monitoring systems, which can tell us just how busy different parts of the city are. They have sensors around the place, including in the Bourke Street Mall — on both sides, though the northern side one is currently not working, which is a shame as I suspect it’s a bit busier. The southern side one shows pedestrian numbers peaked yesterday around lunchtime (when the photo was taken) at about 5000 per hour — about 45% higher than the 52 week average, showing how the nice weather and Christmas shopping has a huge effect. How do people get to the city? 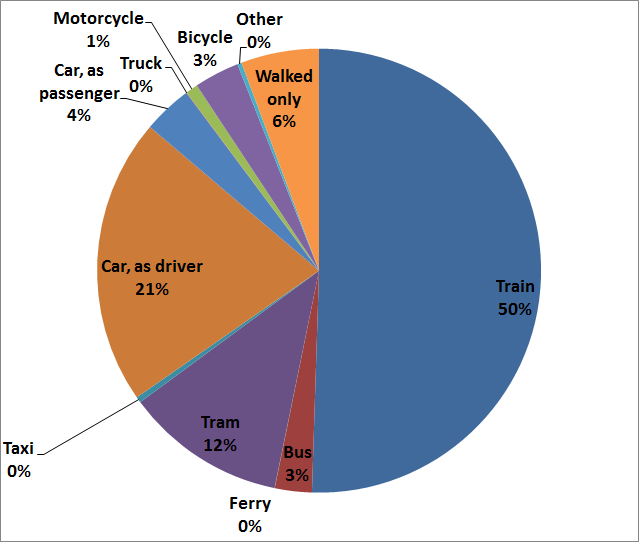 The Census has very good data on travel for work (and this appears to include study) which shows about 65% of people working in the city centre (or thereabouts) come in by public transport as their main mode. About 25% are by motor vehicle. The rest are by other means including walking and cycling. City of Melbourne has a smaller survey (the Central Melbourne travel survey) that captures all city visitors (not just workers). 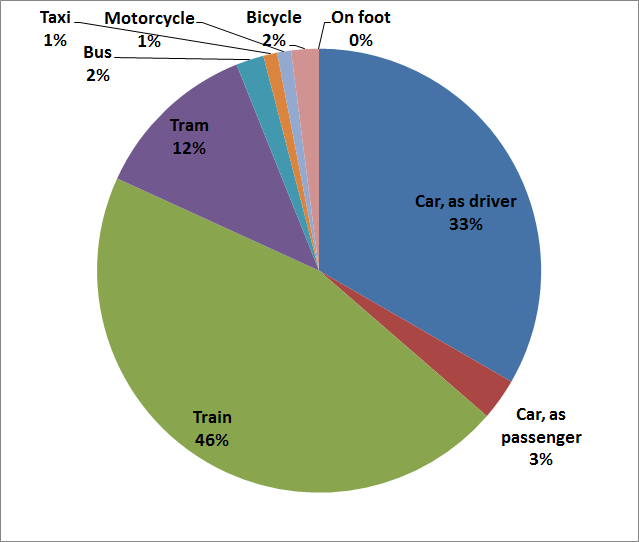 It shows a slightly lower public transport share — 59% — and also lower for walking and cycling, but higher for motor vehicles — 37%. They also have a survey showing trips around areas of the city. 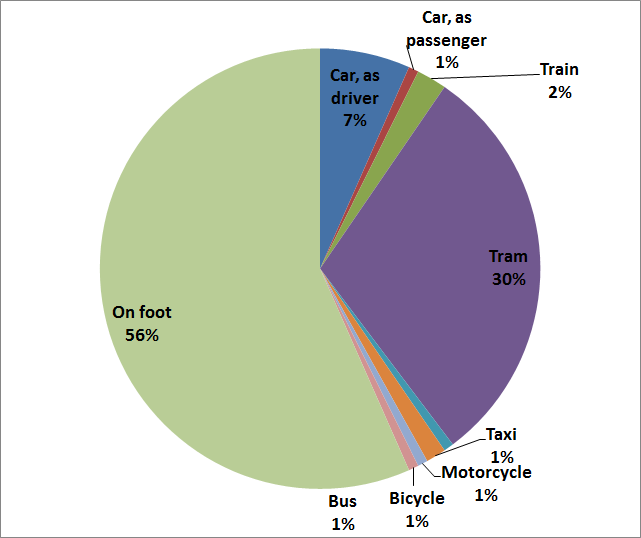 Unsurprisingly, this is dominated by walking and trams. 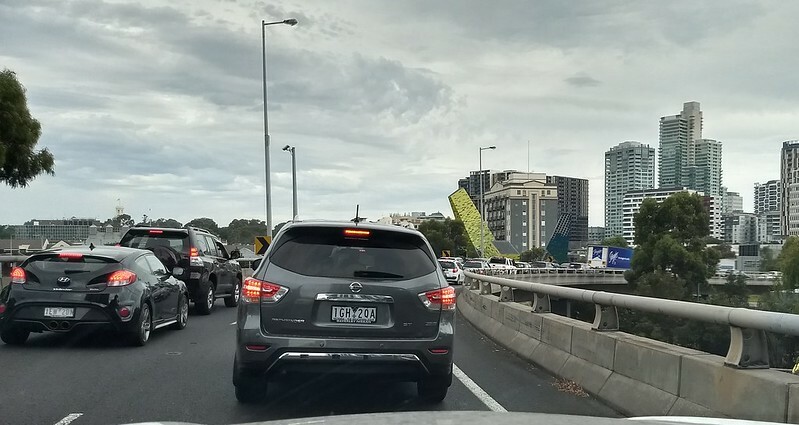 It’s lucky most of people coming into the City don’t bring their cars with them. Well, they can’t really — parking supply for them all thankfully isn’t provided. If it was, it wouldn’t be the dense inner area that we know it, but dispersed by lots of space taken for car parks — a completely different city centre that I dare say wouldn’t attract the booming daily population of residents, workers and visitors that come now. 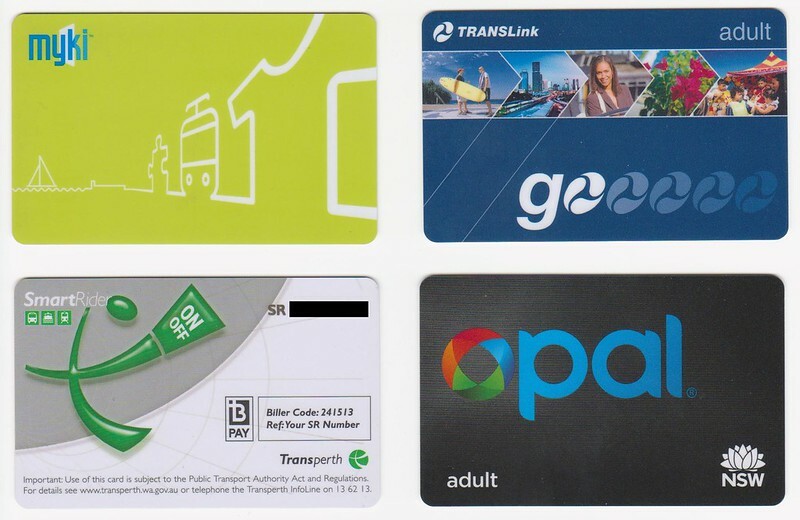 My smartcard collection – I’ll report on Opal soon! Here is my collection of Australian public transport smartcards. 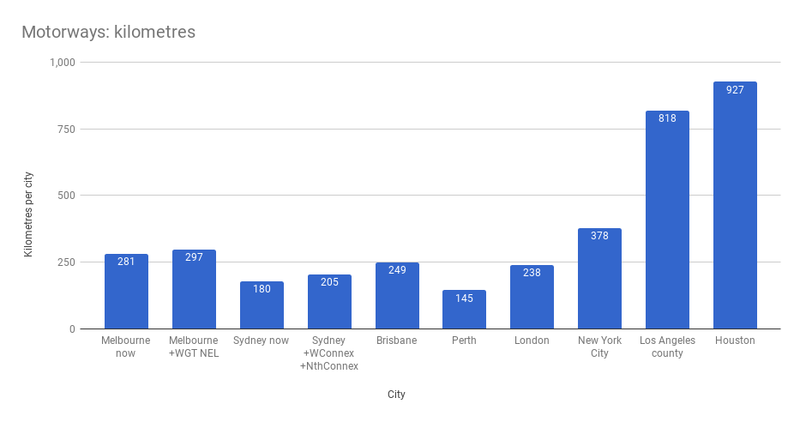 The ones I’m missing are Adelaide, Canberra and Tasmania — all of which have been introduced since my last visits there. Notably Perth’s SmartRider is the only card that is blank on the back, which is why the card number (which I’ve blacked-out) is on the front. Some friends and family have also given me cards from overseas, though what I find most interesting is not the card designs themselves, but how the systems work for users — the response times in particular, but also the opportunities to top them up, the availability and pricing of single tickets, and so on — and to judge those, you really need to use the systems. Expect a report on Opal soon! 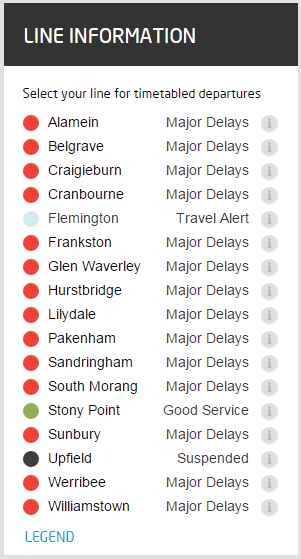 Given the Flemington/Showgrounds line isn’t running this morning, and the Stony Point line has planned bustitution, I’m going to go ahead and declare that we have Metro Bingo this morning due to the storms. And no, it’s not much better on many of the roads. Good luck to everybody (myself included, shortly) trying to get to work this morning. PS. My trip in wasn’t too bad. Although the train was running about 30 minutes late, I had only waited a few minutes for it. It was crowded but not packed. The train journey home was actually less smooth. Our train broke down at Richmond and was taken out of service.